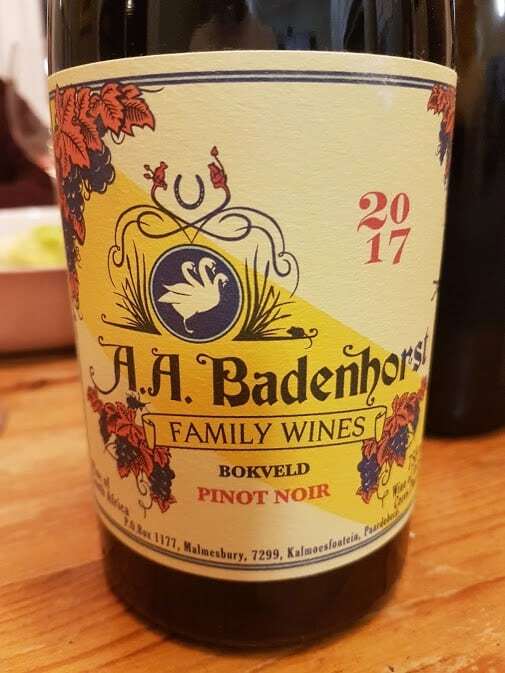 Clearly not even Adi Badenhorst is capable of resisting the allure of Pinot Noir with him now trying his hand at the variety using grapes sourced from the Ceres Plateau. The nose of the 2017 shows black cherry, some earthiness, licorice and spice. Alcohol is 14.5% and the palate is consequently big and broad – good fruit depth, moderate acidity and smooth tannins. Approximate retail price: R415 a bottle. Interesting to see a leader in the ‘fresher’ style making an almost 15%alc Pinot Noir. Do you have any idea why Adi picked this delicate grape fully ripe Christian?